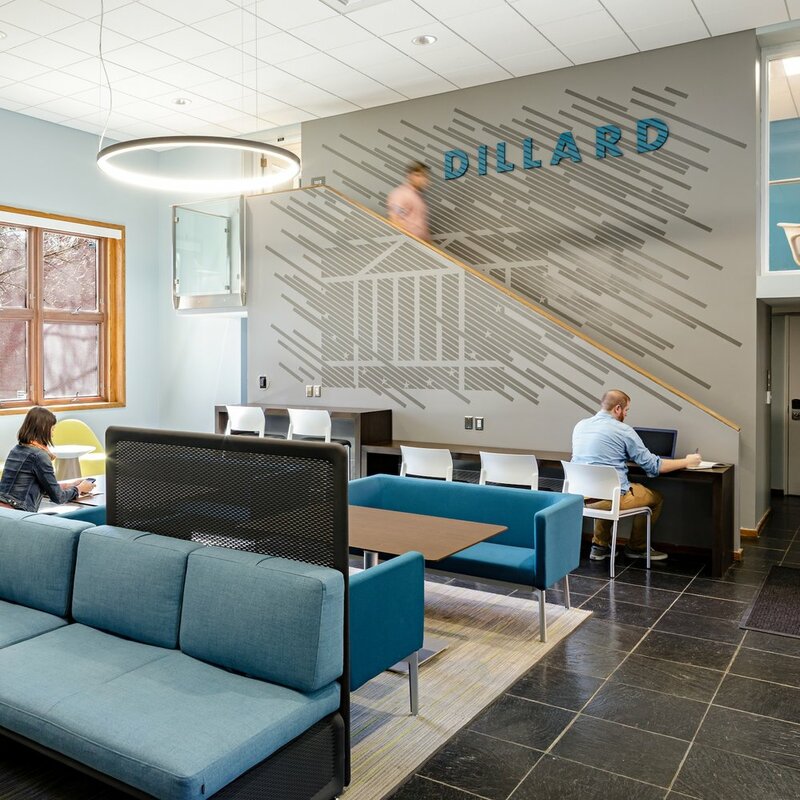 A hierarchy of colors, scales, and materials are used to create a comprehensive signage and wayfinding package that integrates seamlessly into the library's architecture for continuous, but complementary, navigation of students throughout the variety of collaborative spaces. In addition to clearly and creatively identifying the many destinations in the library, signage strategies assign a hierarchy of materials to enhance navigation and use of space. As the primary focus of the first phase of the master plan, Liberty University’s Library is a vibrant hub of student activity situated at the spatial and social heart of campus. Pulling from three surrounding student housing precincts, the library is a communal living room for students – a central gathering point where learning, living, studying, and playing can meet and recombine in unique combinations. Signage and wayfinding strategies reinforce the architectural language. 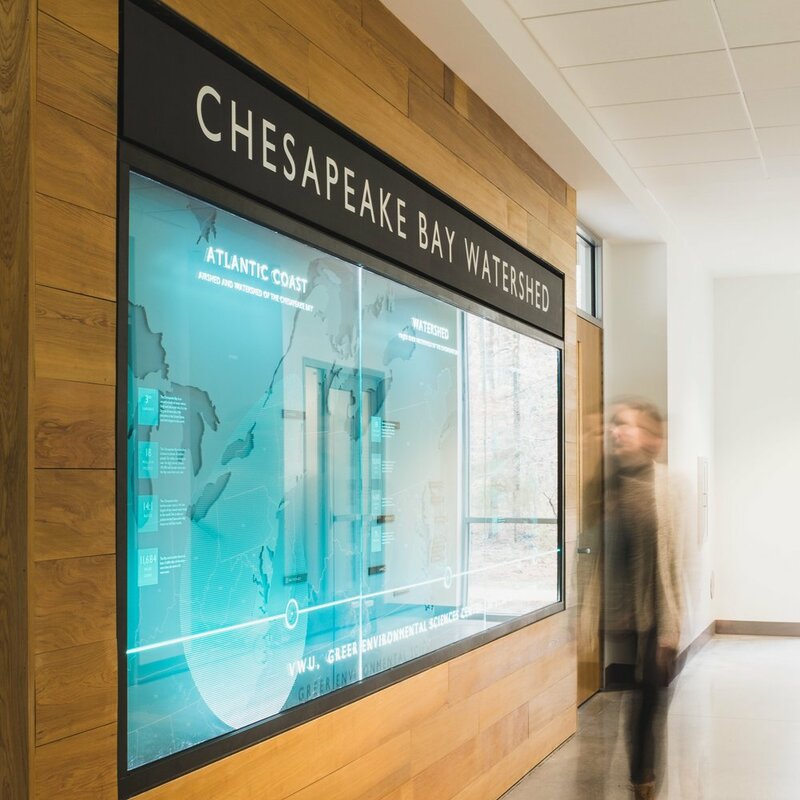 In addition to clearly and creatively identifying the many destinations in the library, signage strategies assign a hierarchy of materials to enhance navigation and use of space.